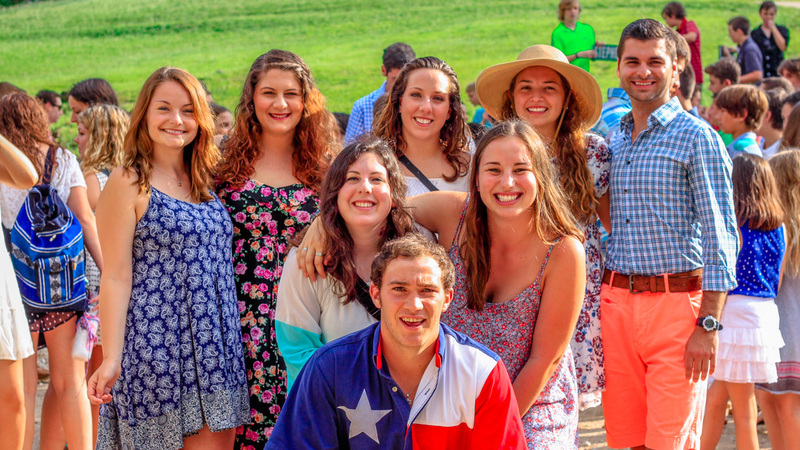 Every day is special at Camp Sabra! 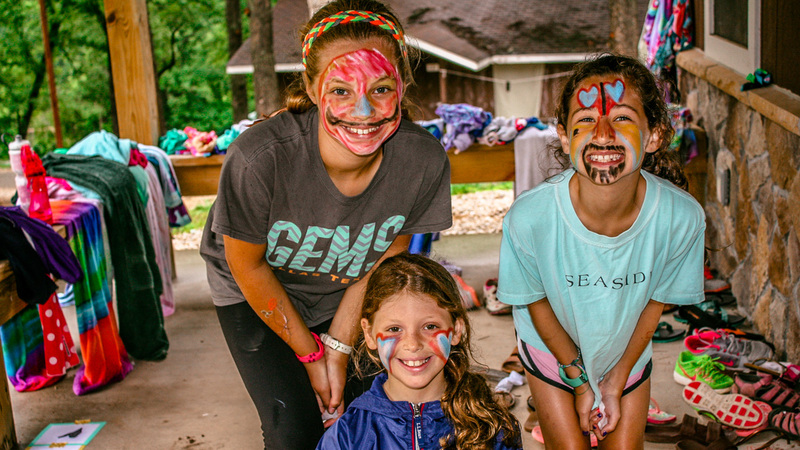 When our campers aren’t honing their outdoor skills, creating a masterpiece in our Arts & Crafts facility, or challenging their friends to a game of Ga-ga, they are enjoying the special events that our staff has planned for them. 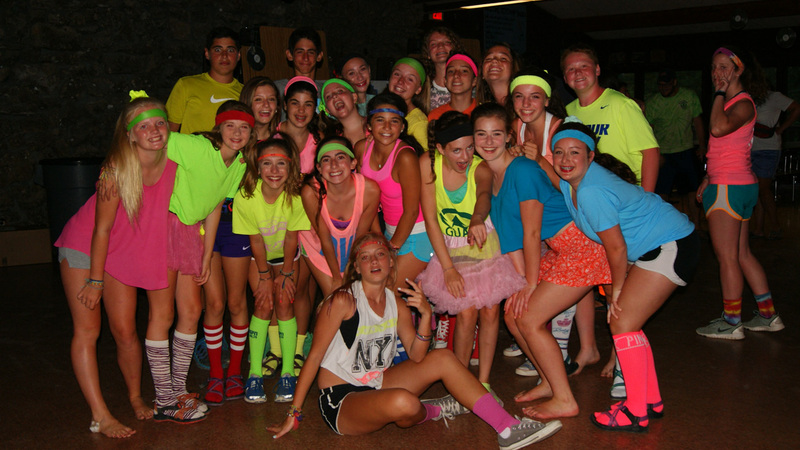 Saturday Nights – Every Saturday night brings something different to Camp Sabra! Saturday nights are built around a theme, such as Sabrastock – a carnival-themed event with music, dunk tanks, and more! Song Sessions – There is no ruach like song session ruach. 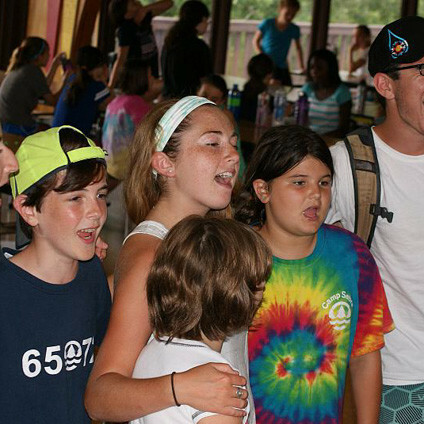 After lunch and dinner, the whole camp joins together in cheering and singing – the true heart of Sabra. Birthdays – Skip around the room! Skip around the room! We won’t shut up ’til you skip around the room! Our campers celebrate their birthdays with more than 300 people! Sabra birthdays are made special with great treats for the birthday camper and their cabin. 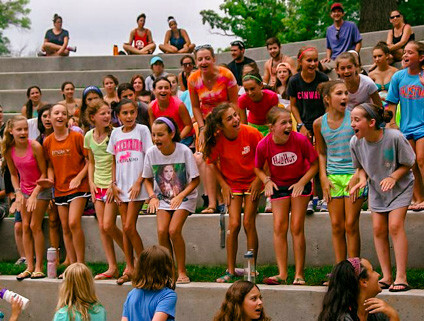 Oh, and we’ll shower the camper with a few special cheers & songs sung just for them by, oh, around 300 members of their Camp Sabra Family. 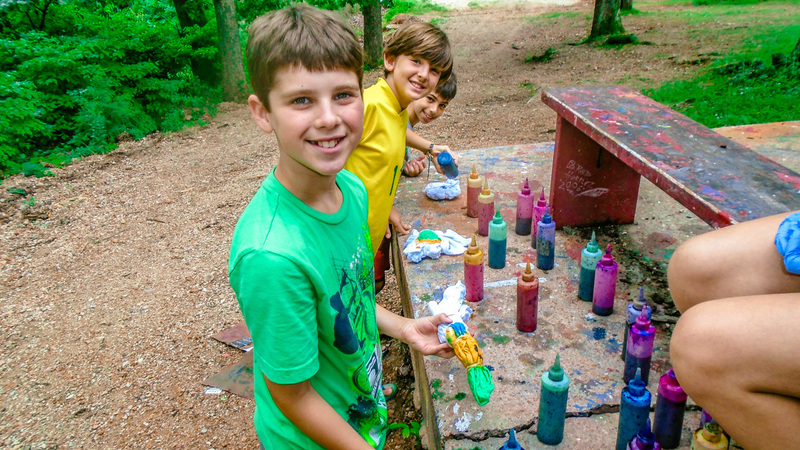 Maccabia – What’s your camper’s favorite color – Red, Blue, Green, or Yellow? 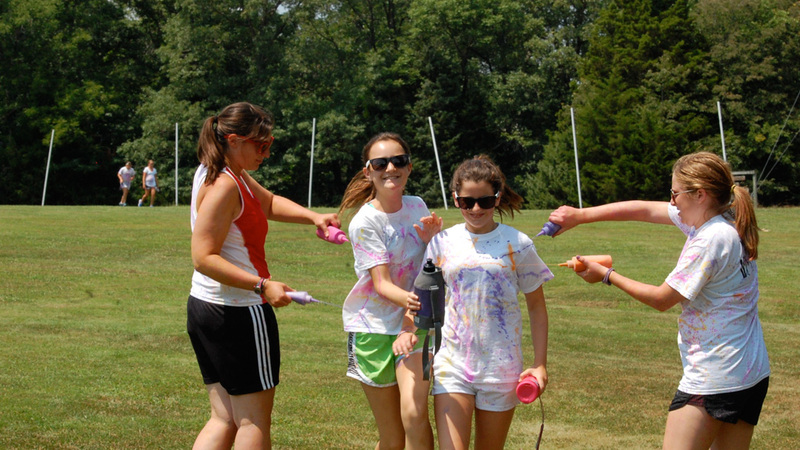 Each summer, the Camp Sabra Family breaks into one huge, color-coded competition. Skits, songs, sports, staff events, camper events, camper/staff events, and a bunch of stuff that we haven’t even thought of yet all come together to form Maccabia. Your camper definitely won’t want to miss it! Israel Day – Can’t make it to Israel? The next best thing is in Rocky Mount, MO! 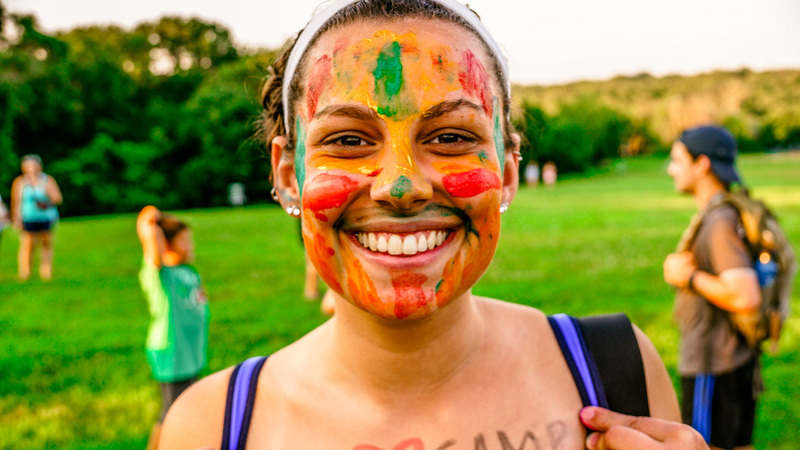 Each summer, we turn the peninsula into the homeland for our campers. Falafel? Check. Israeli Staff? Check. Events, Markets, Dancing, and Singing? Check. 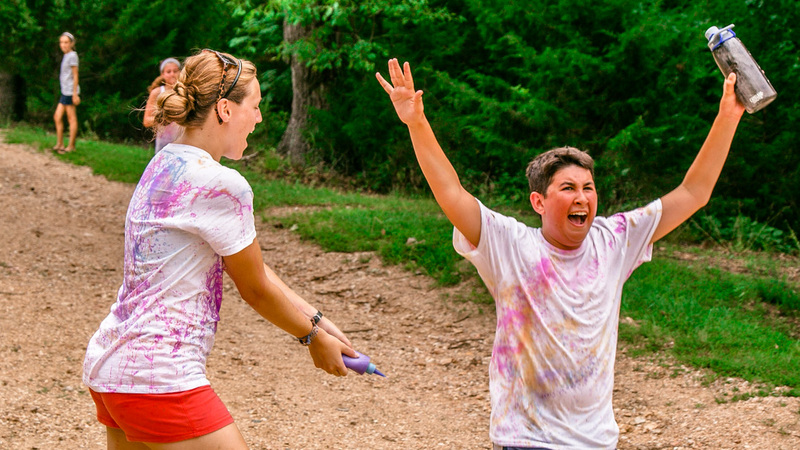 We incorporate Israel & Judaism into every day at camp, but this day is nothing short of awesome! Opening and Closing Campfires – Tradition is important at Camp Sabra. We get things started and closed every summer with one of our longest standing traditions: The campfire. A large bonfire at our swim beach with stories, songs and cheers always brings out the best of Camp Sabra. 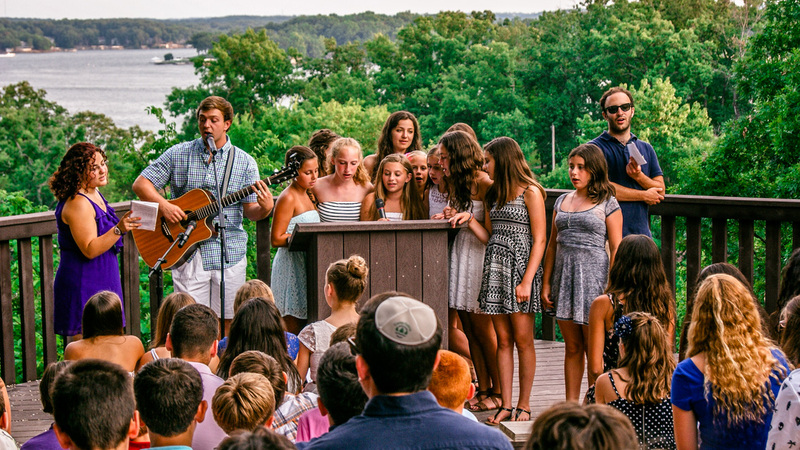 Habonim Follies, the All-camp Play and the Talent Show – Sabra campers get a chance to stretch their dramatic muscles at camp. Our younger campers put on a production for the whole camp while our older campers write and perform their own production in the “Hab” Follies. Everyone struts their stuff in our camp-wide talent show. Masada Banquet – At the close of each session, the Masada Unit puts together the final dinner banquet. Using their newly-found leadership and teamwork skills, they serve and entertain the entire camp.